Here, Wendell Berry revisits for the first time his immensely popular Collected Poems, which The New York Times Book Review described as "a straightforward search for a life connected to the soil, for marriage as a sacrament, and family life" and " returns] American poetry to a Wordsworthian clarity of purpose." 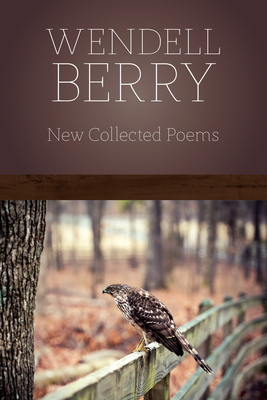 In New Collected Poems, Berry reprints the nearly two hundred pieces in Collected Poems, along with the poems from his most recent collections--Entries, Given, and Leavings--to create an expanded collection, showcasing the work of a man heralded by The Baltimore Sun as "a sophisticated, philosophical poet in the line descending from Emerson and Thoreau . . . a major poet of our time." Wendell Berry is the author of over forty works of poetry, fiction, and non-fiction, and has been awarded numerous literary prizes, including the T.S. Eliot Prize, a National Institute of Arts and Letters award for writing, the American Academy of Arts and Letters Jean Stein Award, and a Guggenheim Foundation Fellowship. While he began publishing work in the 1960s, Booklist has written that "Berry has become ever more prophetic," clearly standing up to the test of time.